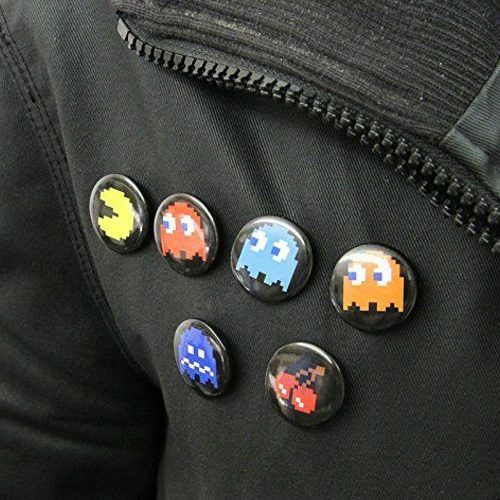 Pac-Man Pins Set of 6 Only $2.49 Plus FREE Shipping! You are here: Home / Great Deals / Pac-Man Pins Set of 6 Only $2.49 Plus FREE Shipping! Show your love of this classic game by ordering these Pac-Man Pins Set of 6 for Only $2.49 Plus FREE Shipping! Those ghosts have you pinned! The Pac-Man Pin Badge Set features 6 pins of characters and items from the classic video game. This set is perfect for any Pac-Man fan or just a fan of video gaming history! Click here to check out more Great Deals!